This is the re-post after i removed the previous post about this but i received some memo on facebook asking about the link again. 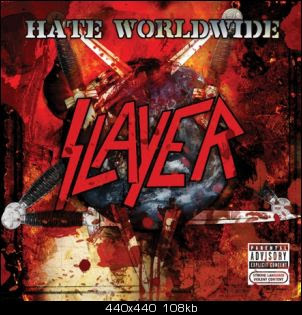 If anyone asking me about the sound, it may sounds like Slayer make a reverse to their "reign of blood" era. The real fan of Slayer and true thrash music lovers should have this. This one only a one song promo. Try get their original full-length album World Painted Blood at your nearest store. The official release date on 3rd November 2009. You may download it below here and it's in *.rar format. Don't ask me if you can't extract it. Get a winrar for your machine first. Please leave a comment after donwload.